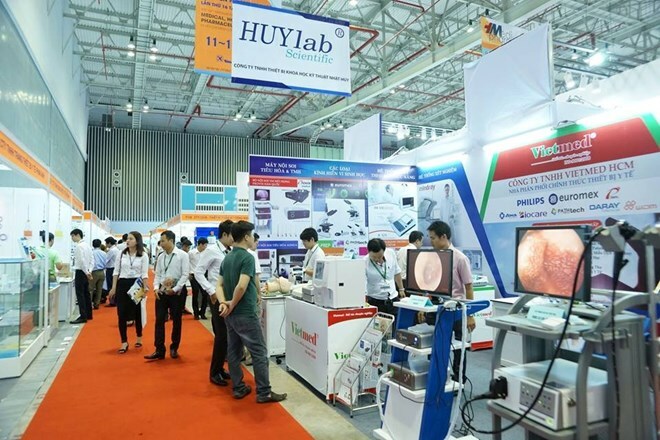 Hanoi (VNA) – As many as 150 enterprises in the pharmaceutical and medical sectors from 18 countries and territories will display their products at the upcoming medical and pharmaceutical exhibition in Hanoi. The 23rd Medi and Pharm Expo will take place from December 1-3 with 250 booths displaying latest achievements, advanced technology and medical equipment. Twenty five companies from the Republic of Korea will participate in the event, along with those from Canada, the US, the UK, the Czech Republic, Germany, Italy, Russia, Japan, India, Singapore, Malaysia and Thailand, among others. Conferences, free-of-charge medical checkups, blood donation and gift presentations will take place during the expo./.